Amazon.com Inc Chief Executive Jeff Bezos posted a blog on Thursday saying the National Enquirer's parent company American Media Inc (AMI) tried to blackmail him with the threat of publishing "intimate photos." Bezos and his wife announced last month that they were divorcing after 25 years of marriage, following a period of "loving exploration" and trial separation. That same day, the National Enquirer touted that it would publish alleged intimate text messages between Bezos and Lauren Sanchez, whom he was said to be dating. 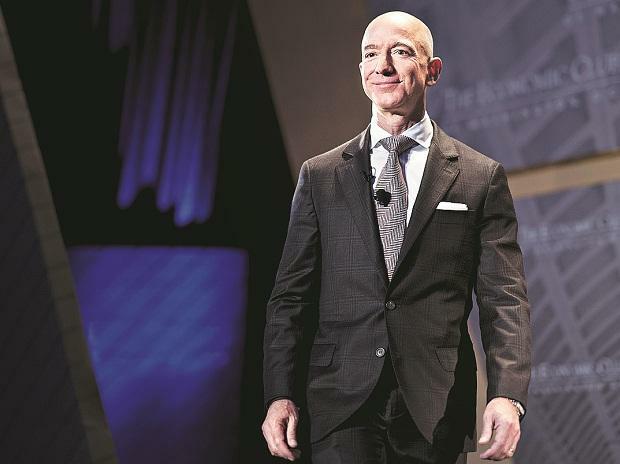 Since the tabloid affair, Bezos opened an investigation into the leak led by Gavin de Becker, a public safety expert and former appointee of U.S. President Ronald Reagan. De Becker proceeded to tell media that the leak was politically motivated, which, according to Bezos's blog post Thursday, concerned AMI. "In the AMI letters I'm making public, you will see the precise details of their extortionate proposal," Bezos wrote. "They will publish the personal photos unless Gavin de Becker and I make the specific false public statement to the press that we 'have no knowledge or basis for suggesting that AMI's coverage was politically motivated or influenced by political forces.'"